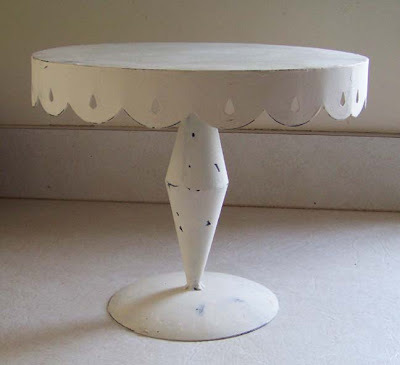 This is my most favorite cakestand and as silly as it is, it’s one of my most prized possessions (I aim small). I originally saw it about 5 years ago in a feature article/spread in Country Home magazine. I immediatly had to seek it out. I looked everywhere on the web Googling ‘cottage metal cake stand’ and finally I found it at Stonewall Kitchen. Unfortunately, they don’t carry them anymore. But, I did get mine and two other sizes that came with it. I love it! 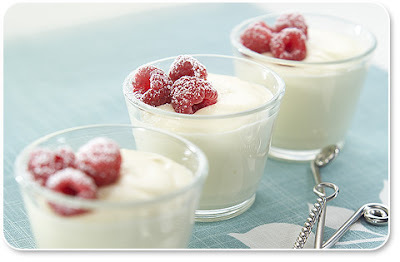 The other photo is of dessert cups of white chocolate mousse. Who can resist that? I LOVE the cake stand! It's beautiful & I think it is ELEGANT! The desserts? I WANT THEM! ALLLLLLL of them! Send them IMMEDIATELY! LOL!